Pour milk over 1 cup of the cereal, stir to mix, and allow to soak 1-2 minutes. Remove the cereal to another bowl to eat, reserving the milk. To rim shot glasses: Add 1/4 cup cereal milk to a small shallow dish. To another small shallow dish add crushed cereal. Dip rims of 3 shot glasses into cereal milk first, then crushed cereal. Set glasses aside. 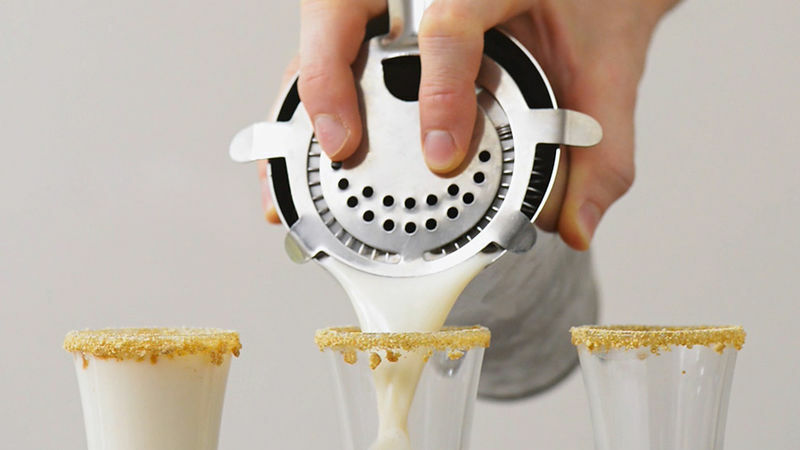 To a cocktail shaker, add Fireball™ Whisky, Rumchata™ and 6 ounces (3/4 cup) of the leftover cereal milk. Add ice to fill the shaker, cover and shake to combine and chill mixture. Strain into prepared shot glasses and serve immediately.